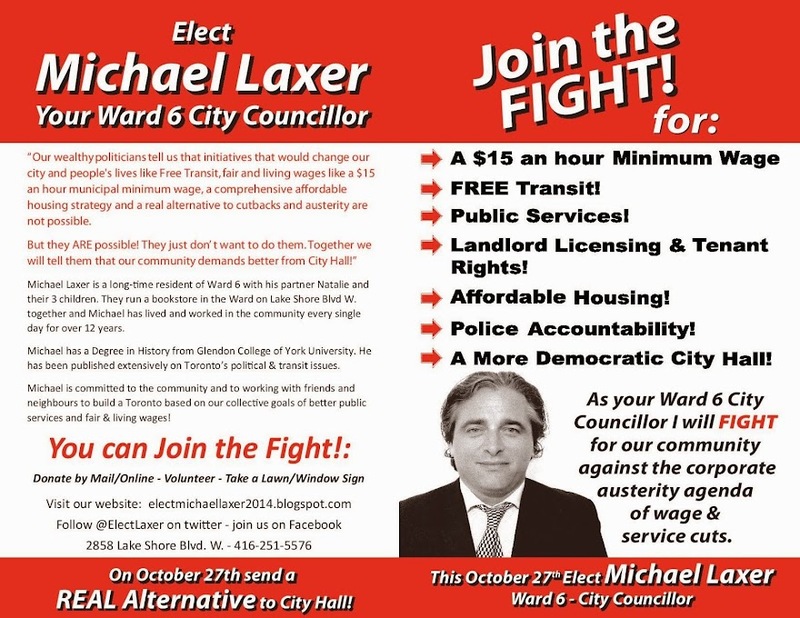 As Ward 6 City Councillor I will fight to see the Waterfront West LRT plan brought back to connect our Ward with Toronto's downtown in a faster and easier direct route. I will work to see transit expanded city wide and to have revenue tools put in place to finance and maintain this expansion. I will work to integrate GO Transit and TTC routes within the city so that people can use the Lakeshore line as if it was a subway. I will also fight against any agenda to raise fares and will work towards FREE transit, which should be the environmental and social goal of any government. If Tallinn (the capital of Estonia) and other cities in the world can have FREE or basically free transit, so can Toronto. "I live on a tight budget since I don't have too much work right now," said Mare Tulp, who recently registered as a Tallinn resident. "I need to save money wherever I can, so I'm very happy with the free public transit scheme. This is a good thing for the common person." On March 30, 2014 The Coalition of Progressive Electors (COPE) a large civic party in Vancouver, also came out in favour of Free Transit. It really is an idea whose time has come!